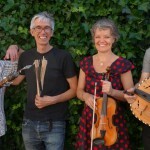 The Dutch group Maert playing Folk, World & Vintage dance music. 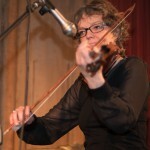 Marjolijn Poppink on the fiddle: For many years she played folk music in different bands and created her solo act Poppiepower. Her style is bright and fun loving: enough to make you want to get up and dance. 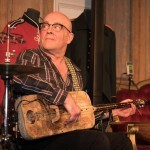 Evert Willemstijn on ud and gimbri: As a bass and double bass player Evert has always been open to and interested in different types of music. 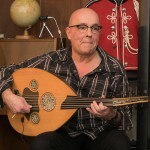 He has played in a long list of bands and in a number of theatre shows in The Netherlands. For several years he has been playing the gimbri and the ud. His style is always tasteful, bold, melodic and full of enthusiasm. 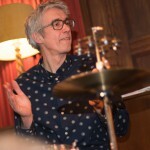 Rob Sprinkhuizen on percussion: After playing punk, blues, latin, funk and jazz in different bands Rob decided to study music at the Royal Conservatoire in Den Haag. As a professional jazz drummer he played in a quirky jazz trio. His style can be defined as swinging, inventive and challenging with a touch of humour. 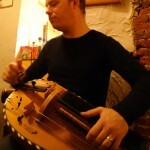 Jimi Hellinga on hurdy gurdy and bagpipes: He has always been interested in beautiful, strange and unusual sounds. His electronic, medieval and other musical projects have one thing in common: a haunting and hypnotizing sound that makes you dance. Currently, Jimi is graduating in music and studio technology.